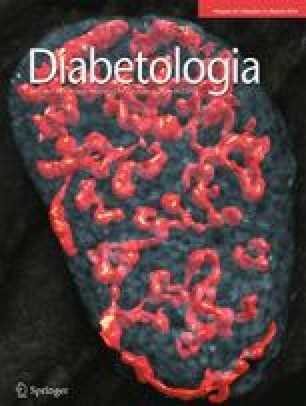 Islet transplantation is used therapeutically in a minority of patients with type 1 diabetes. Successful outcomes are hampered by early islet beta cell loss. The adjuvant co-transplantation of mesenchymal stromal cells (MSCs) has the promise to improve islet transplant outcome. We used a syngeneic marginal islet mass transplantation model in a mouse model of diabetes. Mice received islets or islets plus 250,000 MSCs. Kidney subcapsule, intra-hepatic and intra-ocular islet transplantation sites were used. Apoptosis, vascularisation, beta cell proliferation, MSC differentiation and laminin levels were determined by immunohistochemical analysis and image quantification post-transplant. Glucose homeostasis after the transplantation of syngeneic islets was improved by the co-transplantation of MSCs together with islets under the kidney capsule (p = 0.01) and by intravenous infusion of MSCs after intra-hepatic islet transplantation (p = 0.05). MSC co-transplantation resulted in reduced islet apoptosis, with reduced numbers of islet cells positive for cleaved caspase 3 being observed 14 days post-transplant. In kidney subcapsule, but not in intra-ocular islet transplant models, we observed increased re-vascularisation rates, but not increased blood vessel density in and around islets co-transplanted with MSCs compared with islets that were transplanted alone. Co-transplantation of MSCs did not increase beta cell proliferation, extracellular matrix protein laminin production or alpha cell numbers, and there was negligible MSC transdifferentiation into beta cells. Co-transplantation of MSCs may lead to improved islet function and survival in the early post-transplantation period in humans receiving islet transplantation. Ezio Bonifacio and Angela Hommel share equal senior authorship. The online version of this article (doi: 10.1007/s00125-013-3109-4) contains peer-reviewed but unedited supplementary material, which is available to authorised users. An erratum to this article can be found at http://dx.doi.org/10.1007/s00125-014-3195-y. The commercially available MSCs used in this work were provided by the Texas A&M Health Science Center College of Medicine Institute for Regenerative Medicine, Temple, TX, USA at Scott & White Hospital through a grant (number P40RR017447) from the National Center for Research Resources of the National Institutes of Health. The anti-laminin antibody used was kindly provided by L. Sorokin (Institute for Physiological Chemistry and Pathobiochemistry, University of Muenster, Muenster, Germany). Part of this work was presented as an oral presentation at the 13th International Pancreas and Islet Transplantation Association World Congress and as a poster presentation at the 4th International Congress on Stem Cells and Tissue Formation. This work was supported by the DFG-Center for Regenerative Therapies Dresden, Cluster of Excellence (FZT 111) and the Federal Ministry of Education and Research, Germany (01GN0945). DJB contributed to study conception and design, the collection and assembly of data, data analysis and interpretation, and manuscript writing and revision. MW and CW contributed to the collection and assembly of data, and to manuscript revision. MG contributed to the collection and assembly of data, data analysis and interpretation, and manuscript writing and revision. MB designed the CellProfiler module, and contributed to data analysis and interpretation, and to manuscript revision. SS designed the anterior chamber experiments, collected, assembled, analysed and interpreted data, and contributed to manuscript writing and revision. EB contributed to study conception and design, data analysis and interpretation, and to manuscript writing and revision. AH collected, assembled, analysed and interpreted data, and also contributed to manuscript writing and revision. All authors approved the final version.